St Matthew's was built under the combined guidance of Scott and Bodley in 1851, but was badly damaged by fire in 1977. The building is now much smaller, and turned completely on its east-west axis, but many of the original furnishings have been saved, and the elaborate scheme of decoration reflects the Anglo-Catholic tradition of worship in the parish. 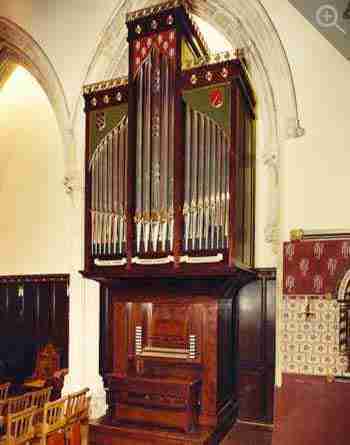 The new organ stands in the arcade on the liturgical south of the restored and reordered church. 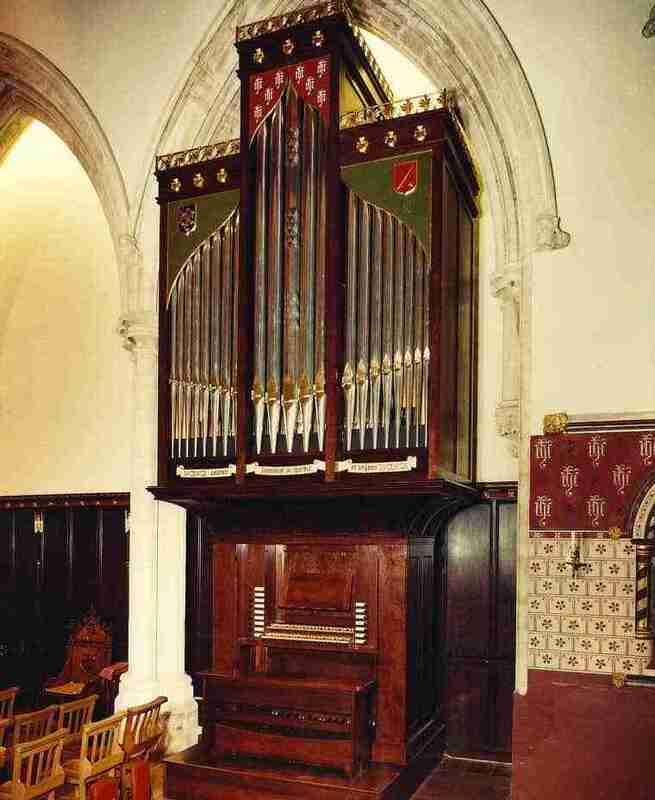 The instrument has been designed in collaboration with Mr Michael Gillingham, who has also worked with the organbuilders in the design of the case. The key and stop action is entirely mechanical, and the pipework is all unenclosed. The winding is traditional, and a tremulant of 'Dom Bedos' type affects the entire instrument.